Mladá Boleslav, 12 November 2018 – ŠKODA AUTO has reached yet another milestone in component production: today, ŠKODA AUTO’s Mladá Boleslav plant built its seven millionth MQ 200 gearbox since the company’s main plant began manufacturing the transmissions in 2000. The Czech car manufacturer makes gearboxes for its own cars as well as for models from other Volkswagen Group brands at its Mladá Boleslav and Vrchlabí plants. Nowadays, gearbox manufacturing follows the principles of Industry 4.0. ŠKODA AUTO is for example focusing on state-of-the-art technologies at both plants to make workspaces more ergonomic and to assist staff. The manual five- or six-speed MQ 200 gearboxes are designed for engines that deliver torque of up to 200 Nm. ŠKODA AUTO currently manufactures 1,500 units per day on two production lines in Mladá Boleslav. The gearbox comes in no less than 50 different configurations, which are installed in models from various Volkswagen Group brands. 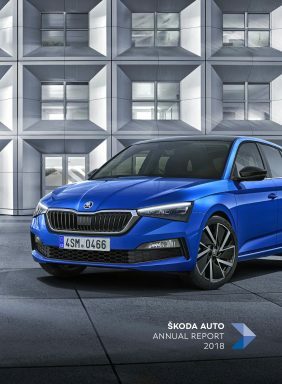 The product portfolio at ŠKODA AUTO currently comprises three types of transmission: in addition to the MQ 200, MQ/SQ 100 gearboxes are also built at the main plant in Mladá Boleslav; ŠKODA AUTO has been producing DQ 200 automatic direct-shift transmissions at its Vrchlabí plant since 2012. The total production figure for all transmission types made at the Mladá Boleslav and Vrchlabí plants per day is approximately 4,800. To date, ŠKODA AUTO has already produced well over 10 million gearboxes at both plants combined. ŠKODA AUTO’s manufacturing of transmissions plays a key role in Volkswagen Group’s global production network. Over the course of 2018 and 2019, ŠKODA AUTO is investing more than 65 million euros in gearbox manufacturing in Mladá Boleslav to increase the production capacity of MQ 200 transmissions. Furthermore, in recent years ŠKODA AUTO has invested more than eight million euros in a new test stand area for gearboxes. Production principles have radically changed since gearbox production began in 2000; nowadays, innovations from Industry 4.0 are used. For example, modern software has since replaced the paperwork originally used in shopfloor management at the main plant in Mladá Boleslav. 12 KUKA robots currently assist staff with assembly by inserting screws or filling the gearboxes with oil, for example. With its digital shopfloor management and collaboration between employees and robots, ŠKODA AUTO is pressing ahead with the digitalisation of its production – a key pillar of its 2025 Strategy.